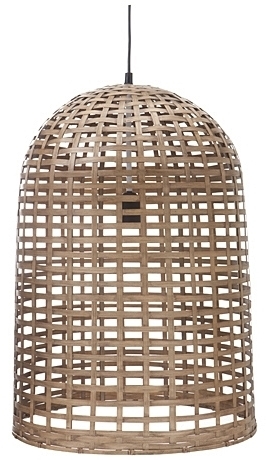 It goes without saying that the right lighting can make a room go from drab to fab. Along with colour, lighting has always been one my favourite aspects about design – it’s one of the key (and to me, most important) aspects for any room of the home. Insufficient lighting in the bathroom or kitchen can make the space a nightmare to work in, while incorrect lighting in living or sleeping spaces can really alter the mood of the room. 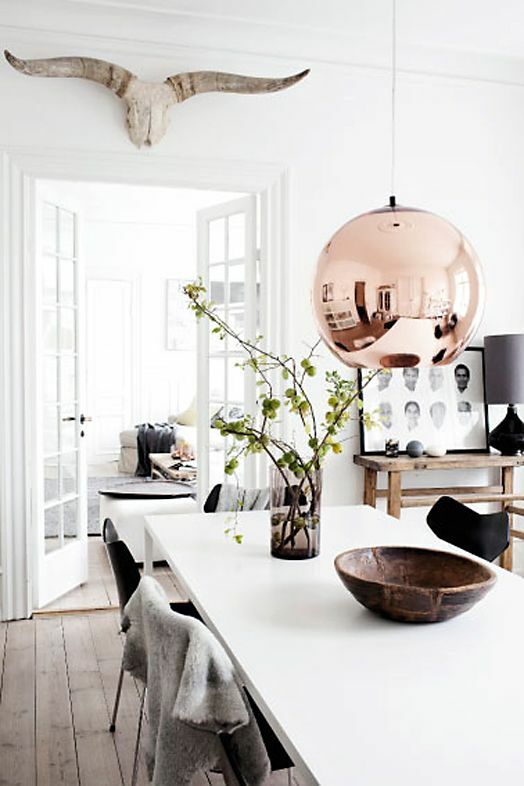 So, it’s no surprise that this design trend sits close to my heart – Statement lighting is both practical and gorgeous, it can be implemented in any room and it can be as cheap or as expensive as desired. I thought today I would share a few tips for every room of the home to make choosing and installing pendant lights that little bit easier. Kitchens – pendant lights over a breakfast bar or island is the common and practical place for them to be installed – providing light directly over the area that is most commonly used for prep. 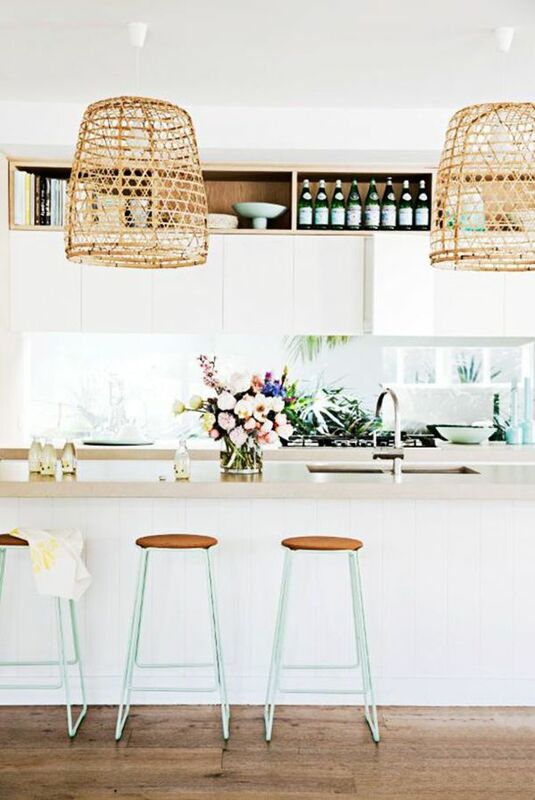 Ensure your lights are hung high enough to not be cumbersome, or in the way (the base of the pendant should be around 70 – 80 cm above the benchtop). If you are wanting to hang multiple pendants a good rule of thumb is to hang them approximately 50-75 cm apart (depending on your light style). Dining rooms – In the dining room task lighting is less important and mood lighting is generally more desired, so ensure your pendants can be dimmable. It’s also important here that lights are not hung too low as to get in the way, aside from that you can go as big and bold or as elegant and refined as so desired to suit your space. 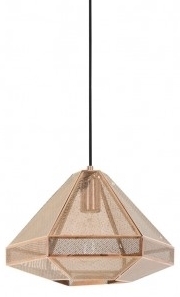 If you have a large space, something solid like the copper pendant below is a great choice, cement and timber options are also very popular at the moment. If you don’t have the luxury of as much space, clear glass pendants are an excellent choice as they are see through and wont close the space off. Bedrooms – There are two options here, either a smaller pendant either side of the bed to replace traditional lamps or a larger pendant in the middle of the bed or room. 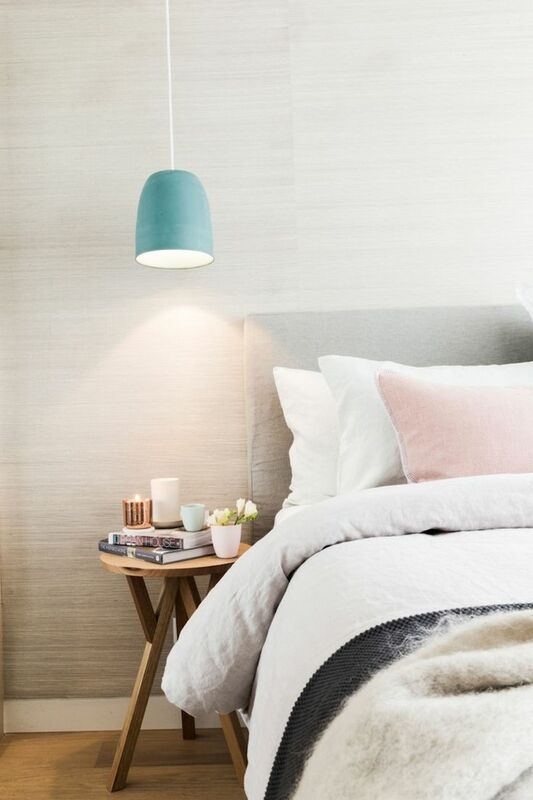 If you’re opting for bedside pendants ask for them to be hung so the base of the light is sitting just above head-height when you are sitting in bed, this will set them at a height ideal for reading/sitting in bed. Bathrooms – Statement lighting in bathrooms is more suited to wall sconces either side of vanity or pendants central to the room. 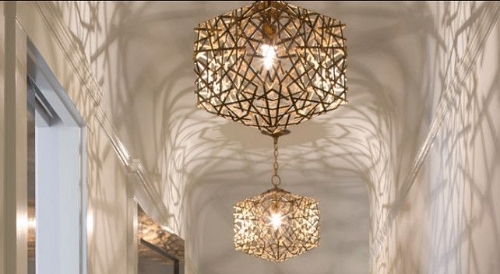 Pendants for vanity units are also starting to grow in popularity. 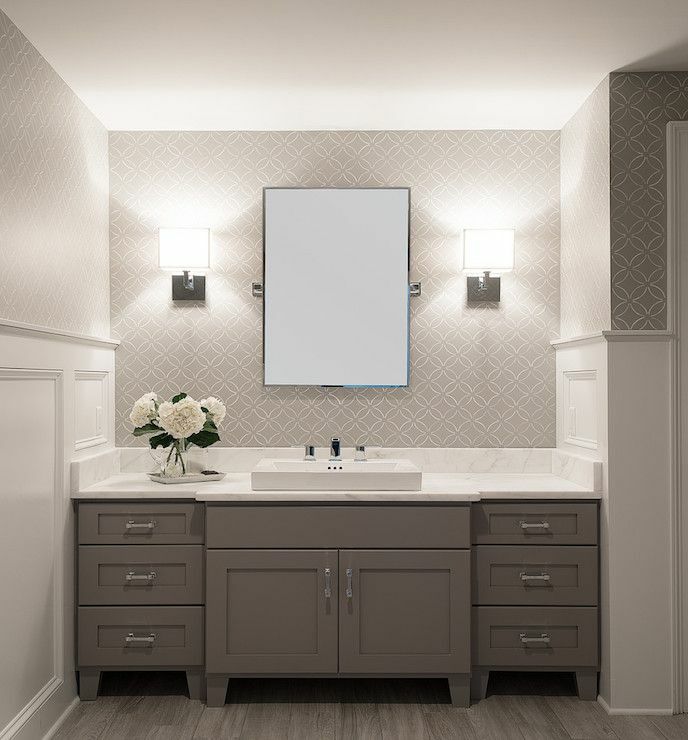 With either type of lighting around the vanity, the most important thing to remember is the light should be at face height – there is nothing worse than having dark shadows cast over your face when trying to get ready for an evening out! It’s also important to remember that feature lighting alone wont be enough in a bathroom, down lights or some other ceiling light is crucial for creating a well lit space. 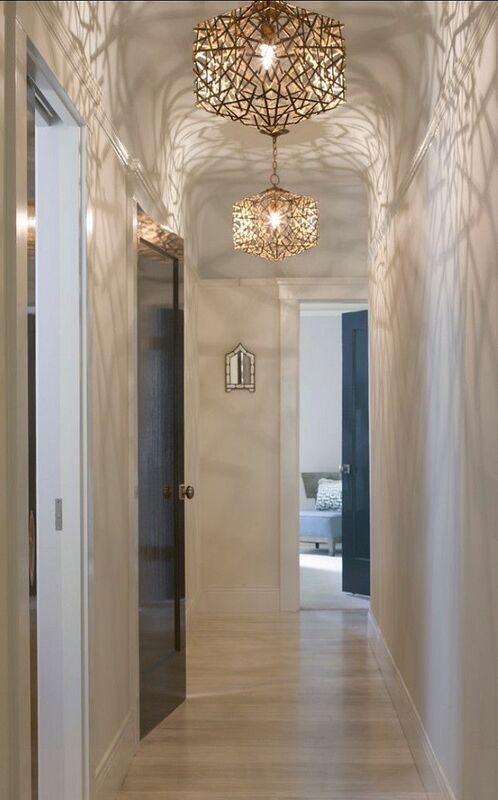 Hall Ways and Entries – As these areas are often the first we see when walking into a home, it’s a great opportunity to choose something with real wow factor, but to also consider the rest of your home and what style you’re working through the whole house. If it’s modern glam, the pendants below would be a perfect choice! High ceilings will also be relatively important here as anything hanging too low could close the space in, making it feel claustrophobic.